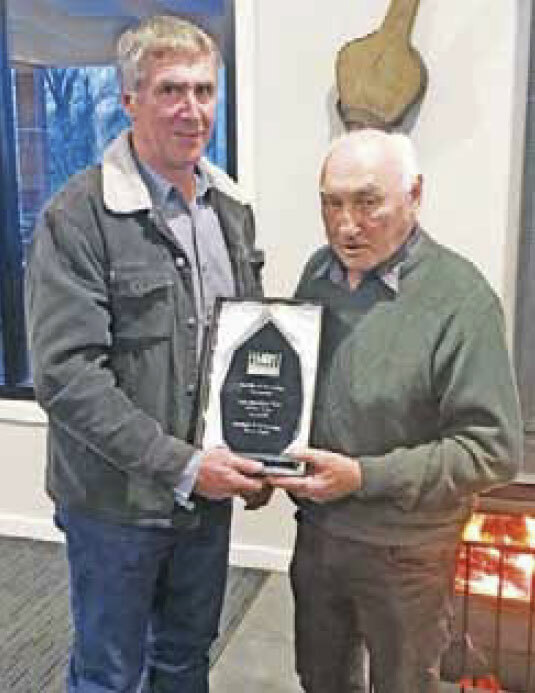 Recognising the hard work and creativity of Buchan and Gelantipy Racing Club members, who continue to deliver a family friendly race day on the third Saturday of February each year, the club was recently awarded, once again, the Neville and Bev Seymour Picnic Club of the Year Award 2017/8 for clubs that hold one meeting a year. The award is evaluated based on a set criteria, which covers items such as marketing initiatives, community engagement, race day delivery, attendance, membership growth, oncourse improvements and the like against previous seasons and the performance of other Victorian picnic racing clubs who hold one meeting a year. The club delivered a great day on February 17 this year, with something for the entire family. There was plenty of entertainment and activities, foot races, jumping castles, farm animals, fashions on the field, live music, prize giveaways, punters’ club, beverage and food stalls, bookmakers, plus six local races. The day attracted a record crowd for recent times with 1380 people turning out to support the day, which was held at the Canni Creek racecourse. The racecourse is situated within the picturesque hills of Buchan and its annual race meeting is a great trigger for people from far and wide to gather their family and friends and head out for a relaxed fun day of country racing. In addition to the social aspect, the Canni Creek races also play a valuable role in the local community as the club donates a large portion of the revenue it generates to local charities such as the Buchan Bush Nursing Centre, the Gelantipy Nursing Centre, the Buchan South Avenue of Honour and other local services, which it has been doing so over the club’s 131-year history. “The club is excited to have won the award and it’s good recognition for all the time and effort put in to delivering a successful day from the Buchan and Gelantipy Racing Club committee who are all volunteers, friends of the club who volunteer their time, the local community who provide sponsorship support and the strong relationship that has developed between all the racing clubs within East Gippsland (Bairnsdale, Omeo and District, and Tambo Valley racing clubs) who are working together to grow our race days and deliver a great day out,” racing club manager, Ian Dunkley, said. The impressive glass trophy is displayed proudly at the Buchan Caves Hotel for the world to see. “If you haven’t been to the Canni Creek Races, it’s well worth the visit. The next race meeting is scheduled for Saturday, February 16, 2019,” Ian said. Buchan and Gelantipy Racing Club members were saddened to learn of the death of John Keith Millbourn on May 15. John was a long time trophy donor for the Canni Creek Races, usually a clock or a piece similarly impressive, and will be sadly missed.